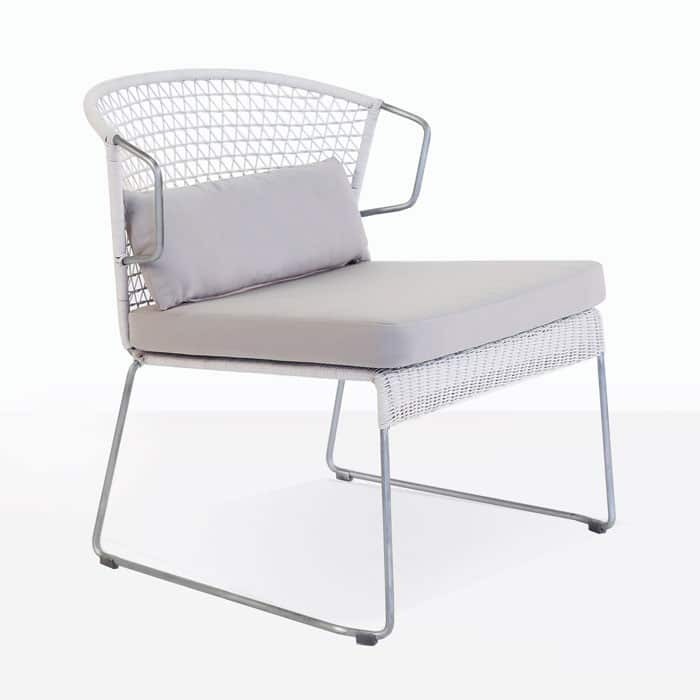 The Sofia relaxing chair in chalk is a beautiful and sophisticated relaxing chair made with materials perfect for any outdoor setting. 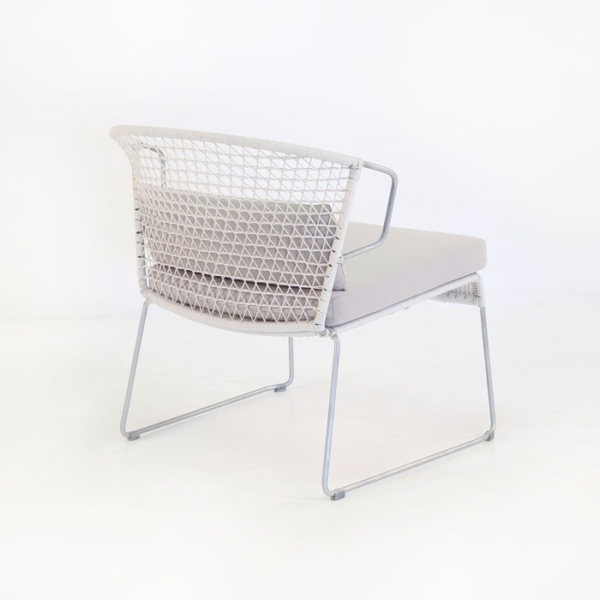 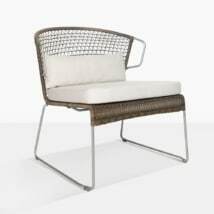 The galvanized steel frame is wrapped in an Ecolene® synthetic outdoor wicker weave, with a tight design. 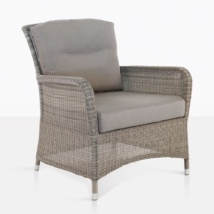 A lumbar pillow and seat cushion finish this incredibly comfortable chair. 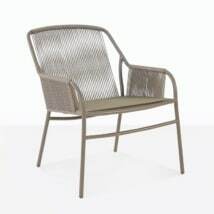 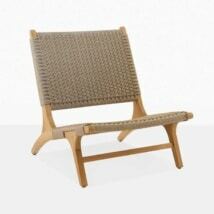 It’s built to last and designed to always look great, regardless of the accompanying furniture or the setting. 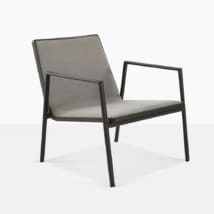 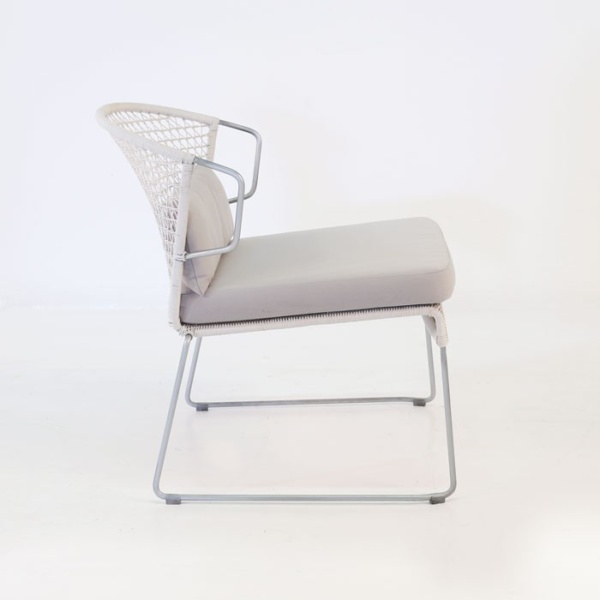 The arms make this chair take on a sculptured look, giving it the type of permanence that any great relaxing chair needs. W27" x D29" x H30"